Find hotel near Underground Railway Museu .. The first subway line that came up in the whole of Central Europe actually started in Budapest. It started in the year 1896 and hence Budapest shares a very enriching history of Railways. In the Underground Railway Museum, you can come across this line as well as the first line that transported Franz Joseph during the famous Millennium’s underground opening. Through the medium of photos and models, the museum tells the story of the development of Underground Railway in Budapest. 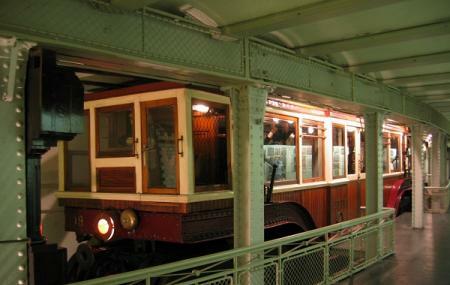 The most amazing part about the Underground Railway Museum is “Night of the Museums” where you will see a lot of vintage streetcars on display on one of the main stations in Budapest. How popular is Underground Railway Museum? People normally club together Budapest History Museum and Aquaworld Resort Budapest while planning their visit to Underground Railway Museum. An Interesting micro museum, dedicated to the first underground railway in continental Europe. This being the case I feel there could be so much more recorded, preserved and presented but space was limited, and it has the feel of a museum run by a few dedicated volunteers. Everything is presented in Hungarian and English in an actual underground railway station. It is actually a museum of (the history of) all public transport in Budapest. People who are really interested in public transport will find much interesting information. For other visitors it might be nice as well, but maybe the exhibition is many times too detailed. Took me a while to find the place, I had to ask 3 people. To find the museum, follow the signs towards the M3 line, or ask where the customer service center is. It's well worth a visit for public transport fans. Some of the explanations are in English, but not all of them. Small and hard to find, but reasonably priced. Worth a look for the old carriages and the story of the first underground railway in mainland Europe.